As you enter the front doors of this property, you know you have found something special that will cater to the whole family, and impress all your friends. We welcome private inspections. Call to arrange. This magnificent family home set on just over ¾ of an acre in the exclusive Riverbend Estate has been thoughtfully built and very well loved. There are large open spaces to entertain your guests, but also intimate spaces where you can just curl up and watch a good movie. At the heart of the home you will find a large open plan kitchen, dining and family area. The Chef’s Kitchen is the centre of attention and will not disappoint with Butler’s Pantry, gas cooking and ample bench and cupboard space. The kitchen looks out over the family and dining area to ensure that even if you are in the kitchen you can still be a part of the party! At the front of the property you will find two master bedrooms with ensuites and walk in robes that are luxuriously spacious. There are 2 lounge areas at the centre of the home, one could easily be a fun media room. Towards the back of the home you find two more built in bedrooms and the study and another private lounge area. 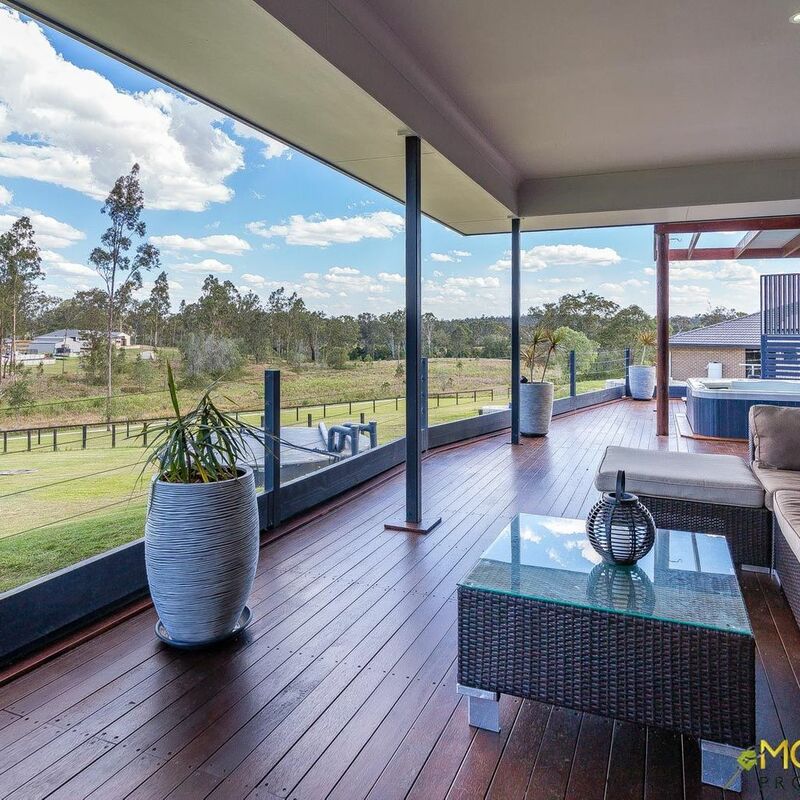 Outside entertaining- just the way that we like to live is made so easy, with a large deck overlooking the beautiful landscape, a built-in BBQ area and your very own personal spa, you will never want to leave home again. Situated in Riverbend Estate join in this peaceful lifestyle, just a short 5 minute drive to Jimboomba central.